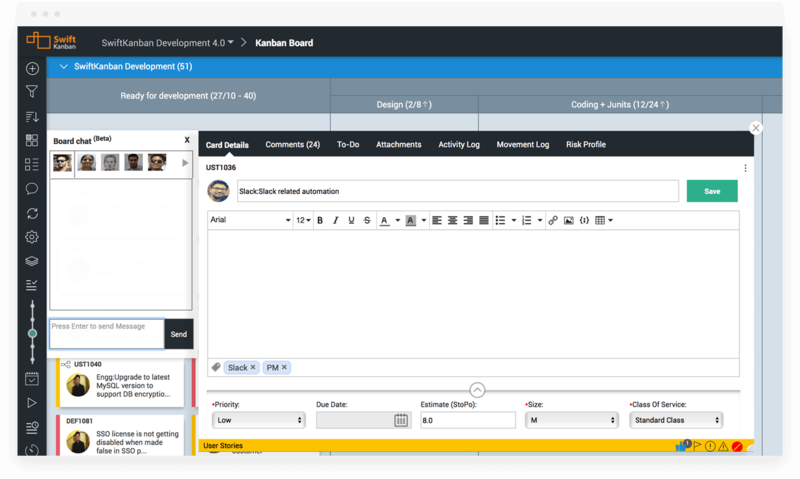 Kanban is all about visualization and SwiftKanban does this best by providing a powerful WYSIWYG board editor that makes modelling any complex value stream a breeze. Using the SmartLane capability of SwiftKanban, you can draw up much more. SwiftKanban board has a number of cool features built-in for defining WIP (Work-In-Progress) limits, card coloring, highlighting bottlenecks etc. SwiftKanban allows Product owners to define their backlog flexibly using a varied set of features available. Teams can decompose high-level stories (or Epics) in to small feature cards using a powerful mind-map interface, sort backlog by rank/ estimates, maintain Traceability links between the cards for managing any dependencies and define to-dos for granular work execution. SwiftKanban’s powerful Kanban project management software makes work execution extremely easy by allowing team members to simply move cards on the board, that same time, ensuring that the policies that have been explicitly set are adhered to. One can also track actual/ remaining effort for the cards or use SwiftKanban’s auto-computed elapsed time metric. SwiftKanban’s highly configurable form editors allow definition of custom card type, multiple custom attributes for each type, making sure that the core application can be tailored to the needs of varied set of scenarios and domains. Collaboration is the core part of SwiftKanban product and allows team members to stay notified with the activities going in the project, initiate threaded discussions against any card, making it easy to collaborate with their teams, specially if teams are distributed. 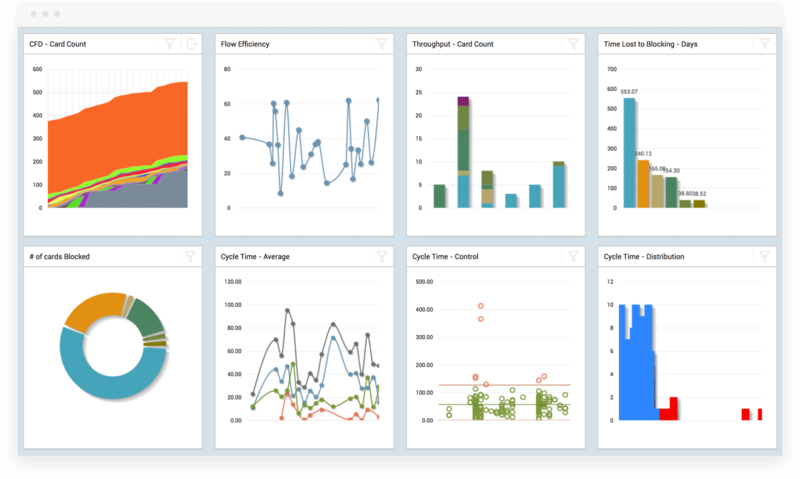 SwiftKanban provides a number of metrics like Cumulative Flow Diagrams, Control charts, Lead/ Cycle times that help the team in measuring the progress and improving their process efficiency. This is a unique feature that allows teams to simply ‘play back’ their Kanban board to review what happened over the review period and get a powerful, visual feedback of their board’s ‘health’. SwiftKanban is probably the only Kanban tool, that also supports SCRUM seamlessly within the product. SCRUM teams can continue to plan their Releases/ Iterations using a simple yet powerful planning interface, execute cards using a Kanban board and optimize the execution using familiar metrics like Burn-down/ Burn-up and Velocity charts, apart from making the most of Kanban metrics. 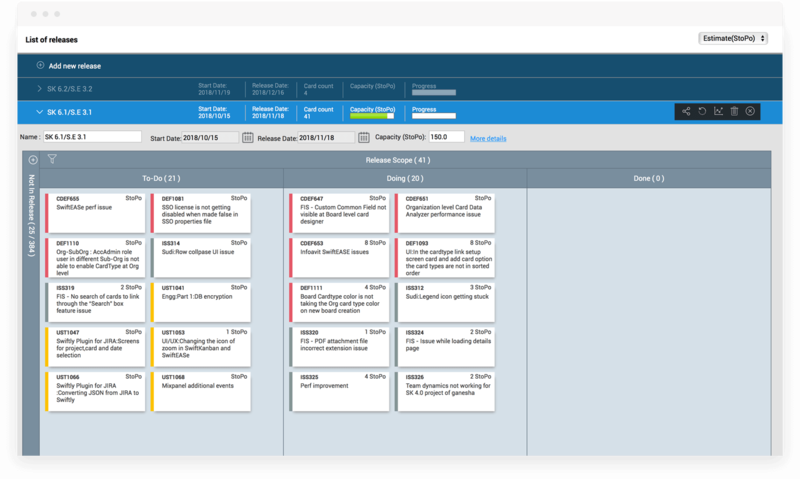 SwiftKanban provides out-of-the-box integration with Atlassian JIRA, a popular ticket management tool, as well as Microsoft Excel, making it easy for teams to bring in their backlog and make it flow using SwiftKanban’s board. A rich set of APIs/ web-services infrastructure also makes it easier to integrate SwiftKanban with any other tool. 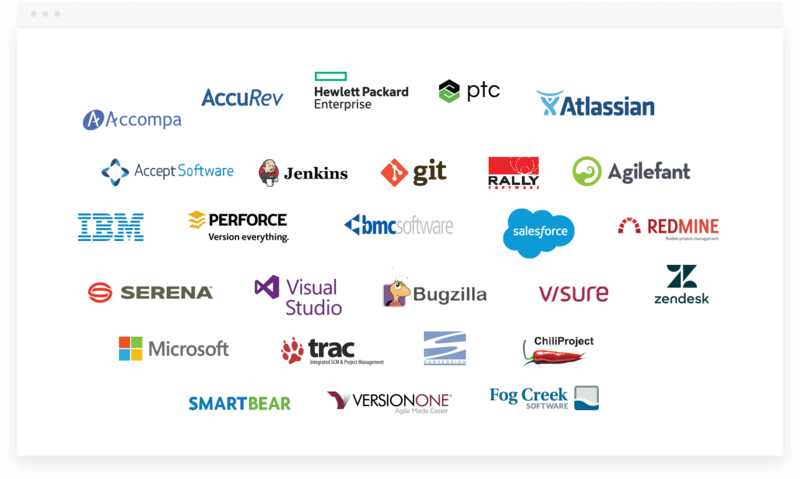 We also offer the SwiftSync Integration Platform which support over 40 popular tools. You can choose to deploy SwiftKanban on-premise on your own servers! Or you can use the cloud version. We believe this option makes it easier for teams to choose SwiftKanban over many other tools. We also offer installation over a private cloud. Not convinced yet? Maybe you should try SwiftKanban first – use it for 30 days for free and let us know what you think!